Three children were critically injured in a fire in a Throgs Neck apartment building Nov. 29, 2012. THE BRONX — Three children were critically hurt in a Throgs Neck fire Thursday evening that also left three adults injured, officials said. The blaze broke out about 7:35 p.m. in the laundry room at 270 Longstreet Ave., a seven-story apartment building, an FDNY spokesman said. About 60 firefighters responded and brought the fire under control by 8:05 p.m., the spokesman said. Three children suffered critical injuries, one adult suffered serious injuries and two adults suffered minor injuries, the FDNY said. 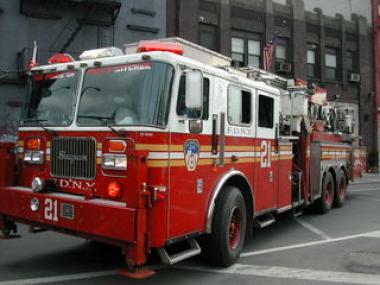 They were taken to Jacobi Medical Center and Montefiore's Albert Einstein Campus, the FDNY said.